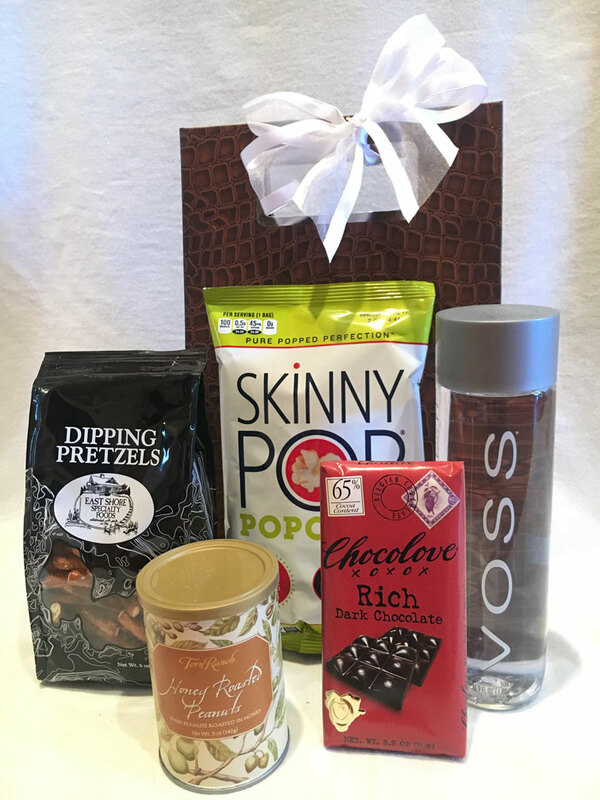 A Welcome Tote, with a combination of sweet and salty gourmet treats, is a perfect way to greet guests. Length 8" X Width 4 1/4" X Height 13"
Note: Special Order requires 3 weeks and minimum of 10 Welcome Totes. 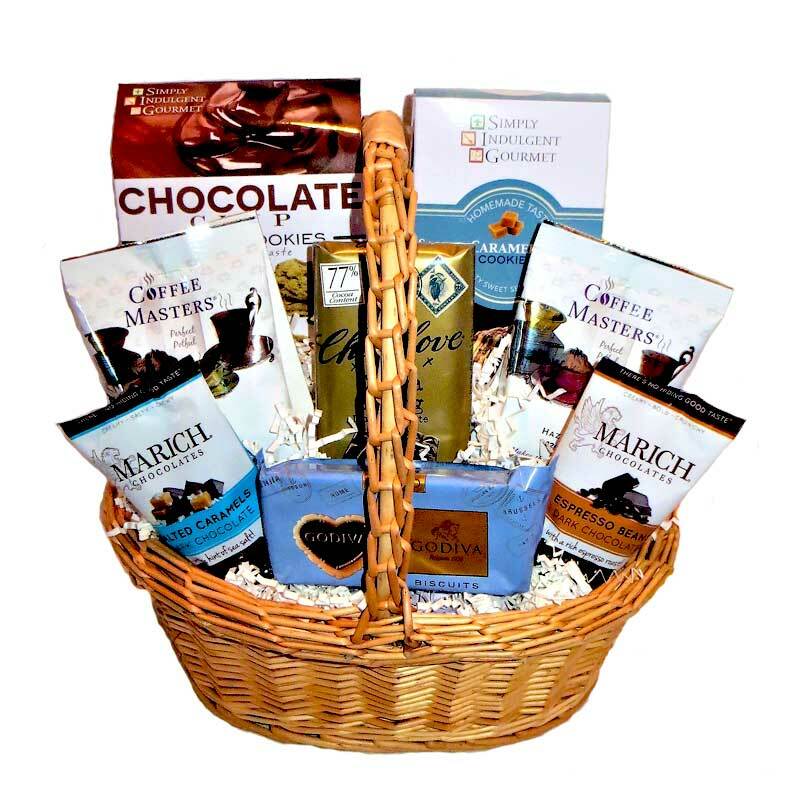 All gifts ordered from Penny's Gift Baskets, are covered by 100% Satisfaction Guarantee. Each gift is individually created, carefully packed, so it arrives to the recipient in pristine condition, and creates a lasting impression. Penny's Gift Baskets, LLC | 469-656-1072 | Copyright Notice © 2019. All rights reserved.